My baby turned 2 last week. I can't believe it! 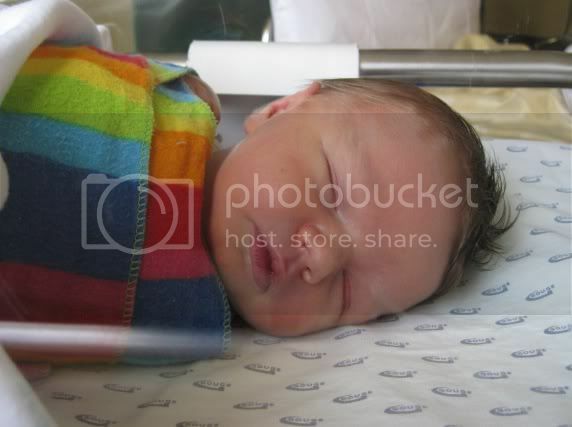 This beautiful baby girl is now full of personality, knows what she wants and look out world if she gets hungry! She also has a head full of beautiful blonde curls, who would have thought? I wasn't planning on a party this year for miss E, but after being invited to all the 4 year old parties in our mums group, she had her mind set on a party of her own. And not just any party. She was set on a rainbow party. Honestly, what 2 year old decides the theme of their party? Mr J certainly didn't do this, perhaps it's a girl thing. We decided to keep the party small and not too much fuss but I made sure I threw a few rainbow things to keep her happy. 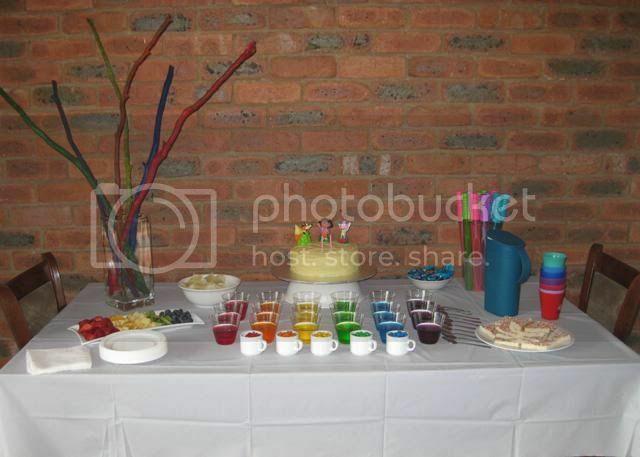 We had strings of rainbow balloons up around the house and a table decked out with some rainbow food. 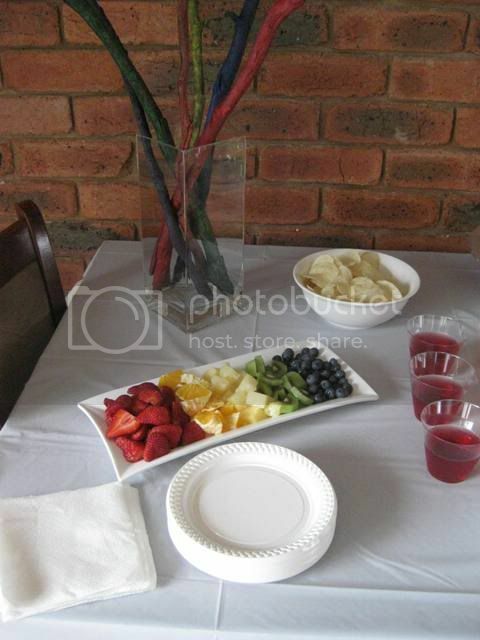 The rainbow plate of fruit was a must. Too much sugar for two year olds is not a good thing! 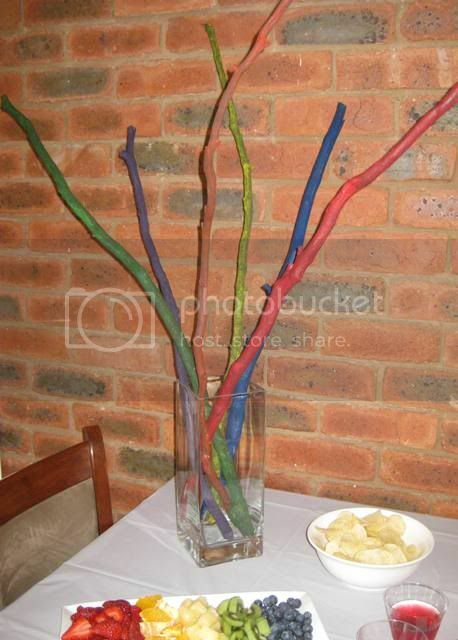 A few sticks painted in rainbow colors to add some height. These were the most talked about thing at the party. 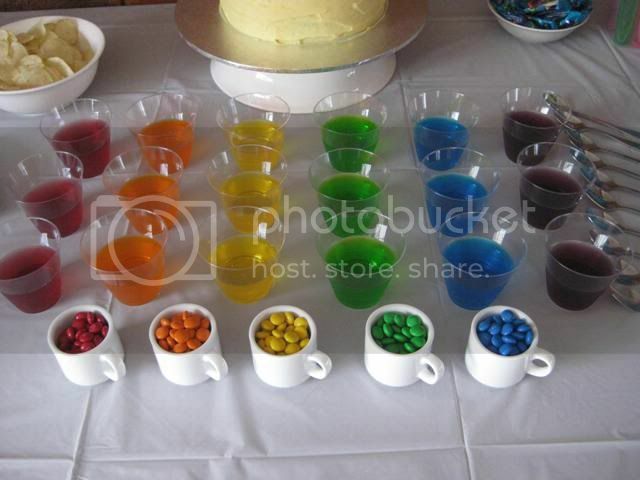 Rainbow jelly made a huge impact on the table and the m & m's were a hit. Yes, I did sort them into colors! 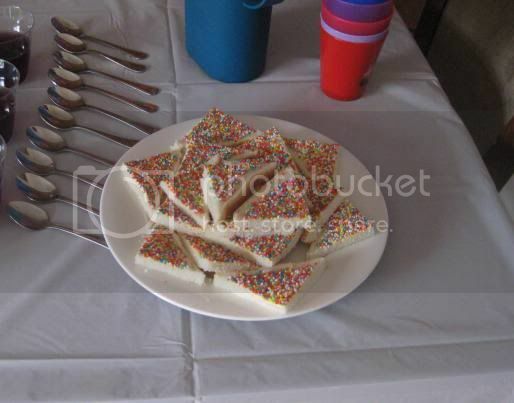 You can't have a rainbow party without rainbow fairy bread. 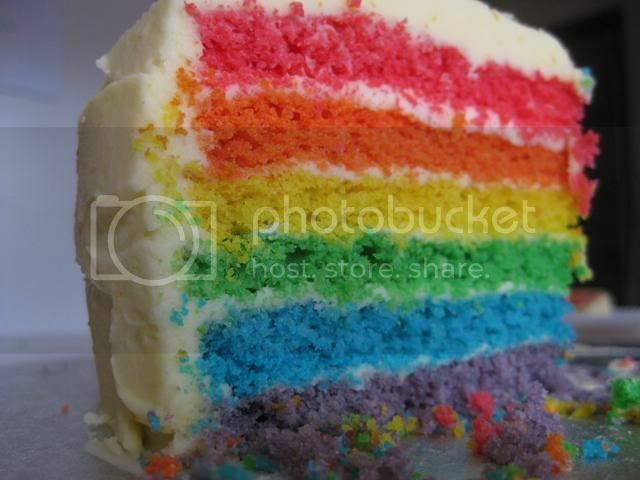 And of course, a rainbow party wouldn't be complete without a rainbow cake. We have also had a Ben 10 party here recently and there will be a blog post to come on that soon.